MEDICA, the leading international trade fair for the medical sector. For more than 40 years it has been firmly established on every expert’s calendar. There are many reasons why MEDICA is so unique. Each year, leading individuals from the fields of business, research, and politics grace this top-class event with their presence — naturally alongside tens of thousands of national and international experts and decision-makers from the sector. 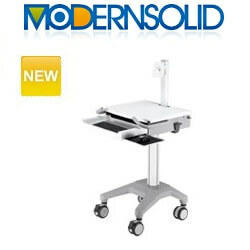 ModernSolid is both a manufacturer and an exporter of medical computer accessories and furniture. Our complete in-house production includes design, manufacturing and assembly which provides the most advanced and profitable products to customer. We offer completed products and also accept OEM or ODM order to meet customer's special requirement. 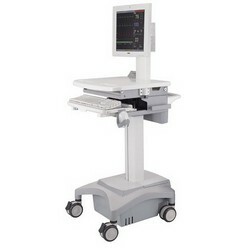 We have launched a series of high quality Medical Monitor Carts. * Apply for patient monitor, LCD Monitor and medical devices. * The five-legged bade offers a stable foundation. * Optional accessories such as basket, handle, table board, holder. * The simple and lightweight design offer effortless maneuverability. 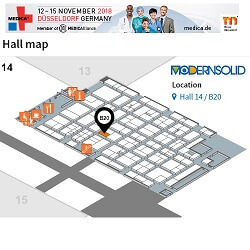 Please contact Modernsolid to learn more about the new options and how they greatly improve clinical workflow efficiencoes and patient care. The HIMSS Global Conference & Exhibition brings together 40,000+ health information and technology professionals, clinicians, executives and market suppliers from around the world. 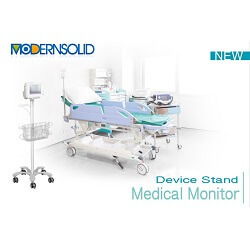 MODERNSOLID, an ISO 9001 approved manufacturer,supplies since 1988 a wide range of ergonomics LCD mounting solutions that accomodates large and small displays for office, education, industrial and healthcare market. 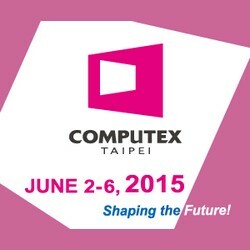 Welcome to visit our stand. 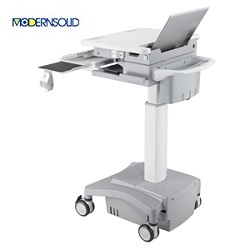 Combining ergonomic features and functionality for better healthcare, Modernsolid’s HC-100 mobile workstation cart transforms and supports a broad range of clinical workflow. 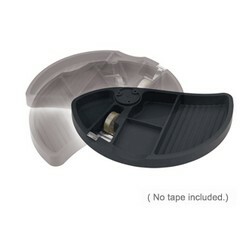 The cart features a lightweight size and small footprint for easy movement. It is height adjustable for users of standing and sitting work postures. And a slide-out keyboard tray with left to right sliding mouse tray is included. Plus, the cart accommodates laptop PCs, power systems, storage and other accessories to help clinicians support numerous point-of-care applications. Rather than just calling HC-100 a piece of hardware that helps deliver better care, Modernsolid believes HC-100 is a clinical solution designed to be integrated into clinical workflow in healthcare settings. 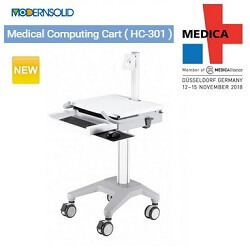 Modernsolid keeps releasing the cart in more configurations with monitor mounting solutions and power supplies HC-101/102/110/111/112/120/121/122. Please contact Modernsolid to learn more about the new options and how they greatly improve clinical workflow efficiencies and patient care! 2. Accommodates flexible configurations: Monitoring, Laptop, All-In-One computers, etc. 4. Height adjustable to accommodate users of sitting and standing work postures. For more information, please visit our website or contact us directly! The pencil Tray Keeps You Desk Clean and Tidy! With today’s busy lifestyles most people are bothered by a lot of visual clutter on the desktop. To help keep the desktop area organized, it’s a novel idea to fix an attractive and highly functional pencil tray underneath the desk. The pencil tray has five compartments that can sort all desktop necessities from pens to paper clips, Memo pad to staplers. 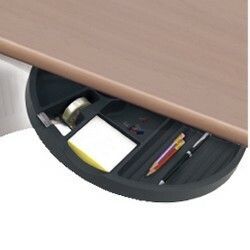 Users can push the tray inward under the desk when not in use; however, users can also quickly access all desktop necessities thanks to its pull-out function. Just pull the tray out; users can easily get a pen, Memo pad and the like to record important information. Through the use of the tray, it creates a sense of organization and maximizes the productivity in the work. For more information about Modernsolid’s pencil tray, please browse our showroom or email us.